Pints For A Purpose Returns! Well, Summer is officially here! Whether hitting the trails, lakes or rivers, we’re all excited for outdoor adventures and warm weather fun here in the Rogue Valley. 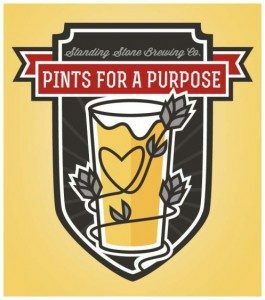 At Standing Stone, it’s also a time we look forward to kick off our annual Pints for a Purpose application period, which runs from July 1st to October 1st, 2017. If you aren’t familiar with the program, through our Pints for a Purpose we donate $2 of every pint of beer sold to an employee-chosen nonprofit group, on their designated benefit evening. The top five voted recipients gather family, friends, and supporters from all over Southern Oregon on nights running November through March. Our great staff votes for the top five favorite organizations, and we’re always amazed at all the wonderful work being done by the people in our communities. We award each nonprofit a special evening, during which all pints sold between 5pm – 10pm contribute to their cause. The organizations send representatives to answer questions, offer information, and participate in the fun! You just enjoy a beer, some excellent company, and have a great time knowing you’re helping a passionate local organization. This year, to celebrate twenty great and exciting years of business at Standing Stone Brewing, we’re inviting all of our past Pints for a Purpose groups to apply, as well as looking for new groups to support. If your nonprofit would like to apply for a Pints for a Purpose evening at Standing Stone, please visit our donations page. We look forward to hearing from you! 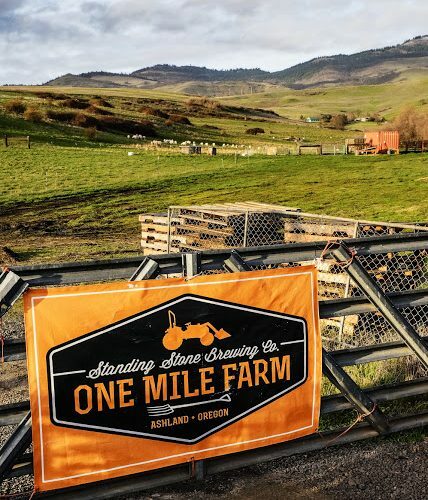 We are ecstatic to welcome Rogue Valley Farm to School into our brewery this Tuesday, February 9th as the beneficiaries of our Pints for a Purpose program. On this evening, from 5-10pm, we will donate $2 from every pint sold to this amazing organization. What about this makes us so excited? We have a chance to do what we do best (pouring great craft beers) to support local food, farms, education, and children. 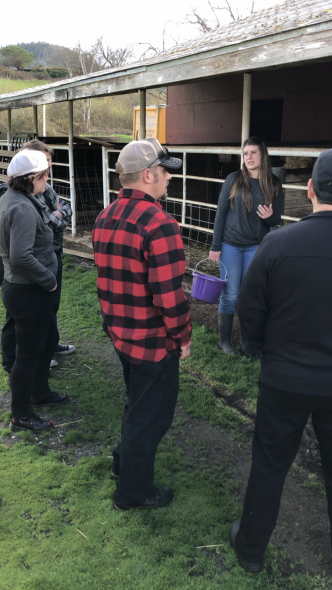 It’s a chance for us to give back to our community on our turf and a chance for our community to show their support for the great work the Rogue Valley Farm to School does. But lets be real here: How AWESOME is this organization? We give them an 11 out of 10! They are working tirelessly to educate tomorrows generation about the importance of diet and how that connects to local food and farms. As part of our mission at Standing Stone, we are committed to providing delicious craft beer and fare that utilizes locally grown ingredients and in turn supports small, local farms. 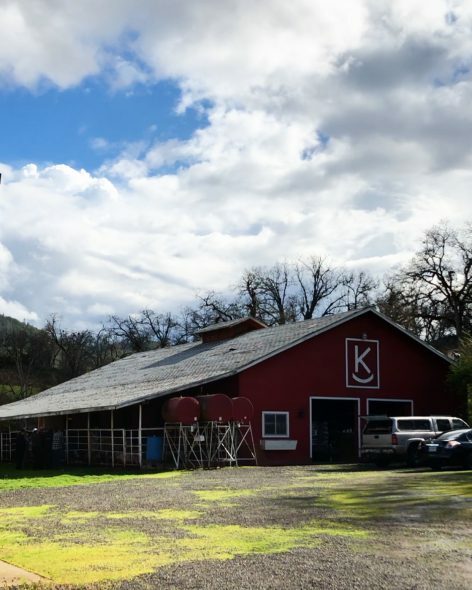 We would like to thank Rogue Valley Farm to School for helping to support our mission and making it possible for the Rogue Valley to enjoy the rich bounties offered by our local farms. For more information please visit Rogue Valley Farm to School’s website. 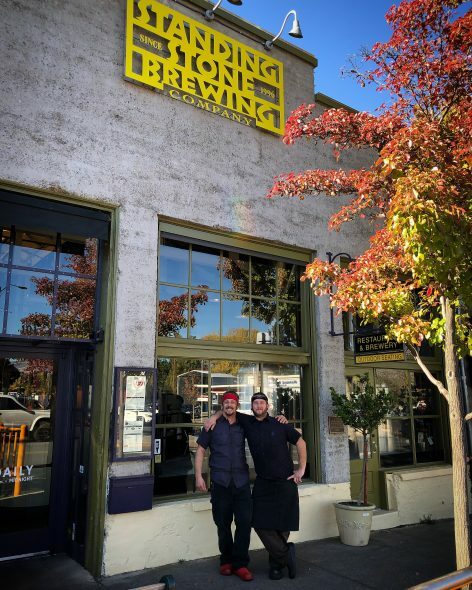 It is with great pleasure that we announce our new chef at Standing Stone Brewing, Chef Javier Cruz. Congratulations, Javier! We are beyond excited to have Chef Javier as our new kitchen leader. He is conscious to healthy, sustainable living and shares the values consistent with our ethos – cuisine being fresh, locally sourced, innovative, seasonal and celebratory. Although he is new to his current position, he has been working at Standing Stone for the past 8 years, and we can’t wait for many more. Chef Javier started his restaurant career in 1998, working through the service ranks to become the dining room manager of Il Giardino. During that time he developed a real appreciation for the customer experience as it related to food service. 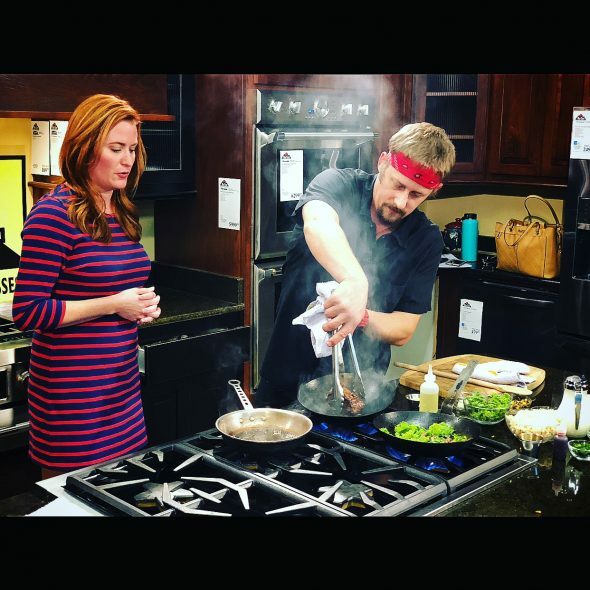 His admiration of the skill and creativity of the kitchen staff there led him to enroll in Le Cordon Bleu at the Medford Culinary Institute, from which he graduated in 2007. 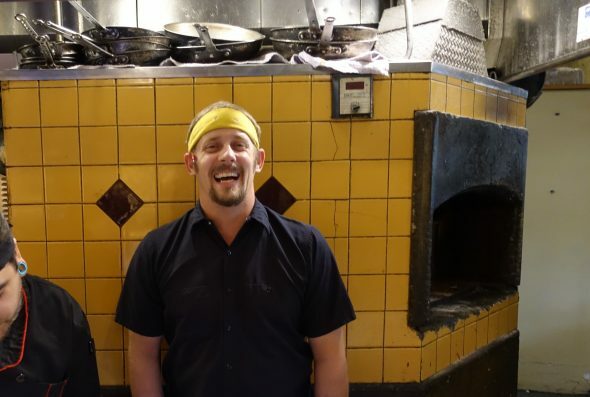 Shortly after, two regulars at Il Giardino, (and coincidentally owners of Standing Stone Brewing) Abe Oberlin and Nancy Branghurst, encouraged Javier to come work in the Standing Stone kitchen. 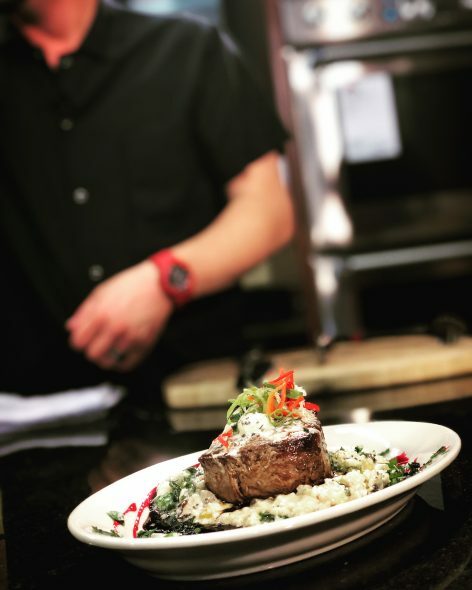 From 2008 to 2015, while working as Sous Chef with Chef Eric Bell, Javier also continued his restaurant immersion in the Standing Stone as Dining Room Manager. 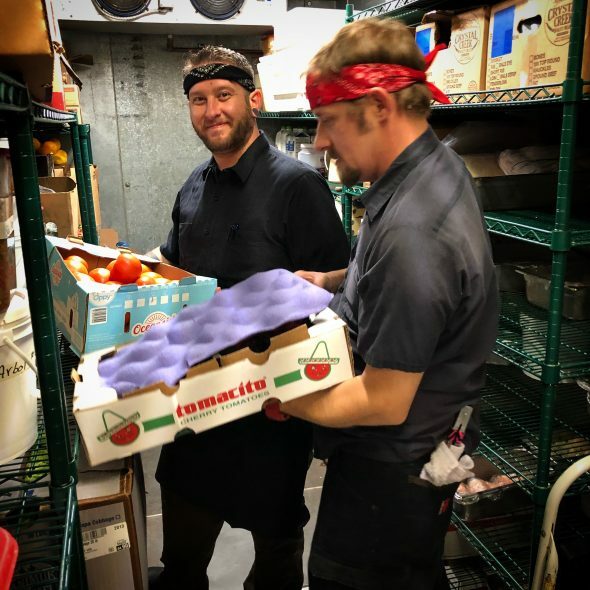 Javier has always appreciated that Standing Stone has provided opportunities for daily learning and growth, both in the kitchen, and especially the experiences outside the restaurant on our One Mile Farm. 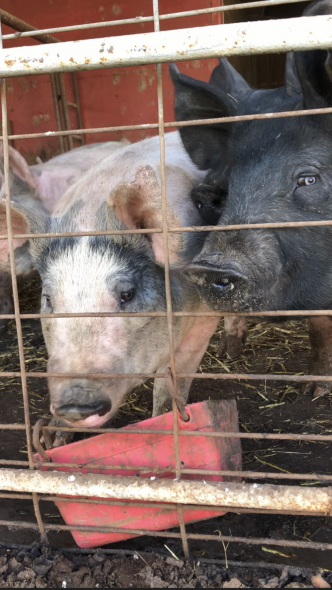 There he has worked with our farm manager Michael Smelser, as well as cultivated relationships with local farmers and ranchers, and attended conferences to further his knowledge of local and sustainable food producers. 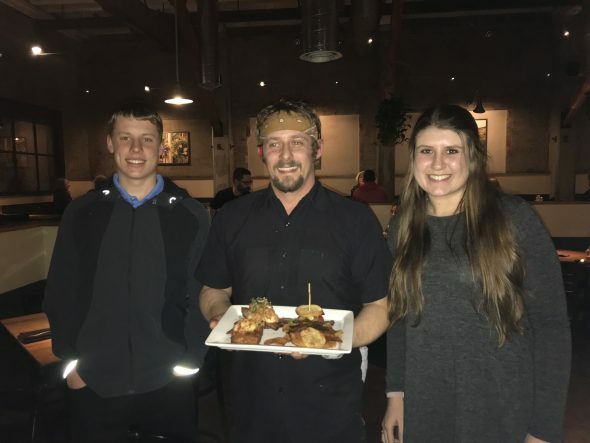 Javier has continually nurtured his passions and skills with food and kitchen management, aligned with a great belief and respect for sustainable, organic, and local products. Chef Javier enjoys crafting specials with the bounty our One Mile Farm provides, as well as opportunities to his express creativity with daily menu items, while exploring seasonable local ingredients. Please come in and treat yourself to some of his amazing creations. 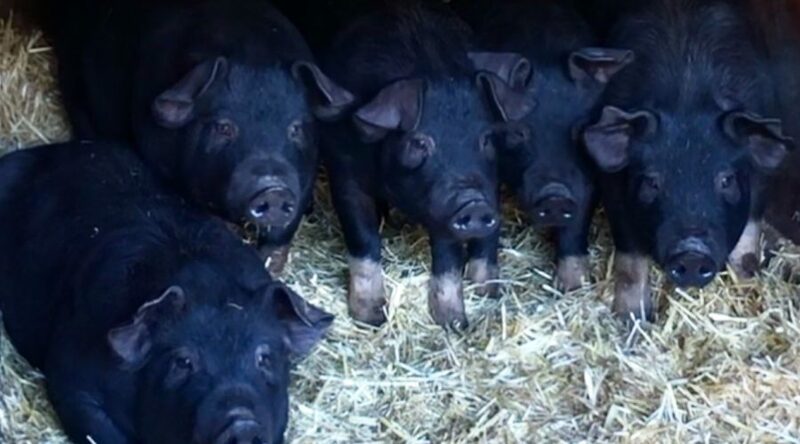 Sanctuary One provides a safe home to rescued farm animals and house pets. The farm includes expansive gardens which not only provide rich vegetables and food for the animals, but opportunities for growth of the people who tend them. To inspire and empower communities to conserve bees and their habitat. Bee Girl, a nonprofit organization founded by Sarah Red-Laird, aims to conserve our bees by educating the public on their importance through programs focused on community classes and events, public lectures, and their Kids and Bees program. To meet the needs of children and families in our community by providing a community-based, child-focused center that facilitates a compassionate, multi-disciplinary approach to the prevention, treatment, identification, investigation, and prosecution of child abuse. Rogue Valley Farm to School educates children about our food system through hands-on farm and garden programs, and by increasing local foods in school meals. No LNG Exports Oregon is a statewide coalition of activists, experts, and community members with the goal of stopping two LNG pipeline projects in Oregon. So there you have it! Last year, we raised over $2,300 (that’s 1,150 pints!) 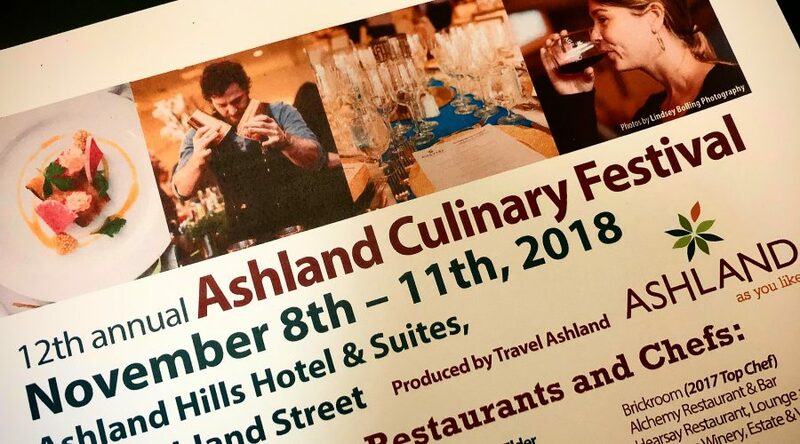 benefitting five different wonderful nonprofits including, Rogue Climate, Water Watch of Oregon, Friends of the Ashland Public Library, Rogue Farm Corps and Rogue Valley Earth Day. We are very happy to continue with the tradition and hope you join us at one (or all) of our Pints for a Purpose evenings this season. In our opinion, this time of year is the best for looking at the 10-day forecast. All we can see are sunny, 75-degree days in our near future, and that makes us want to get out and bike while the gettin’s good. Rogue Valley Transportaion District’s (RVTD) Drive Less Connect has the same idea, and this statewide program is launching the Drive Less Challenge October 5th-18th. We’ll ride along with events all week! First, we poured beer at the official Kick-Off Party at ScienceWorks Hands-On Museum yesterday from 1-5 pm. There was live music, demonstrations, raffle prizes, and beer from us! It was a blast, and of course great to combine beer and science. We’re also hosting the Drive Less Challenge Trivia Night on our patio at the brewpub. Join us Thursday, October 15th from 4-6pm for commuting-themed questions and prizes. We have plenty of bike parking out front; just bring your lock and settle in with a brew out back. Here are the details to register: the Challenge is available to anyone living or working in Oregon. Visit drivelessconnect.com to register, and begin logging your alternative transportation trips. You can also connect with other users for carpooling and ride sharing, and use the calculator to track your fuel and CO2 savings. And there are prizes! Each day, there will be a social media prize winner. Post a photo of yourself using alternative transportation on Facebook or Instagram (@drivelessconnect) using #2015ORChallenge, and chosen winners get a $50 gift card. By logging trips, you’ll also be entered to win several grand prizes, including shoes, helmets and more. Find a ride, seek out biking partners, or just log your trips for fun. At Standing Stone, we’re creating a group for our coworkers to see how many miles we can log total for the challenge. We’ll let you know at the end just how we did! We hope you have fun, commute safely, and enjoy some fresh air while hopping around during your day. Avert your gaze, you may go blind from the reflecting light (photo courtesy of R. Koning). Nick gives us a glimpse at what the Wild Rogue Relay entails. So sit down, grab a cold beer and read about other people working hard. Because, really, that’s the best way to enjoy work. When the Standing Stone running team (a.k.a Slaughterhouse 12) came to me last year and asked me to run in the Wild Rogue Relay, I was more than a little apprehensive about it. Running long distances ranks somewhere near doing my taxes and cleaning my cat’s litter box in regards to things I would like to spend my time doing. I’ve always excused myself from such activities by saying I was more of a sprinter, but, while true, it really had more to do with boredom. I’ve always felt running is a lot of the same thing: start running on pavement for 10 minutes, then move on to some running on gravel for 10 minutes, with a little trail running for about 10 minutes and finally, the run is capped off with a nice jaunt on pavement for 10 more minutes (just in case you missed it). There’s no Frisbee I’m chasing or “Free Beer” vendor I’m desperately sprinting towards, pint in hand. In fact, all of those things I love about sprinting are perhaps the worst thing you can do while running distance, as you’ll likely injure yourself or run out of energy before you finish the run. I have a newfound understanding for dogs on leashes, or stuck in cars; constantly waiting to be let loose and feel the exhilaration of running at full speed. So you can understand my – what would you call it, complete and utter lack of any sort of interest in regards to any run that goes on for longer that two or three blocks? Compound all of that with the fact that I work at a brewery – one that specializes in fried goodness and delicious desserts – and you’ve got the makings of one very unhappy runner. …and confirmed pretty much everything I thought about running. That crap is hard. Each runner ran between 16 and 24 miles over the course of 34 hours. Some runs were in the sweltering heat of the afternoon, while others took place in the eerie calm coolness of midnight. None of the runners slept more than two or three hours during the event, testing the stamina and patience of everyone in the vans; because, let’s be honest, spending 30 hours straight in a vehicle with five other people lacking sleep has its ramifications. That said, when I finished the relay, I found a part of me that I never knew existed: I was a distance runner. And I had amazing teammates/co-workers/friends. Of all the places I’ve had the pleasure (or displeasure) to work, Standing Stone has offered me some of the closest, lasting friendships I’ve ever had. 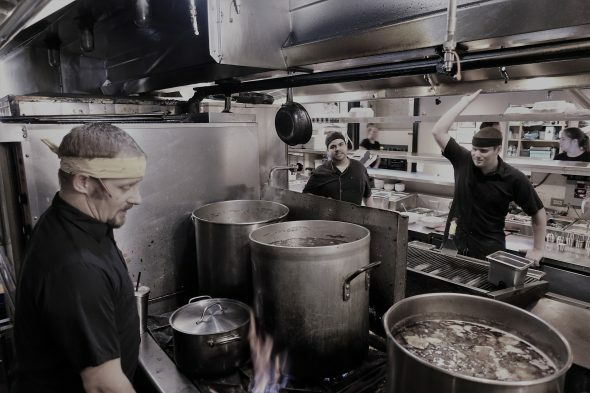 What kind of restaurant has twelve employees who enjoy each other’s company so much they’d actively choose to spend 30 hours straight with them, in the tight confines of a mini van where their only relief comes in the form of a seven mile run? All of the excuses I made not to run were just that: excuses. I ran 18.1 miles, split in three different legs, without walking once. This is coming from someone who hadn’t done a distance run since sophomore year P.E. (and failed miserably, I might add). Why do people run in the first place? It’s a question I asked myself every time I spotted a sweaty runner while enjoying a nice, cold pint at the bar. I ran not to have a good time, or to stay in shape, or because I wanted to. I ran because they needed another runner and I was free. All of my fears surfaced exactly how I expected: it was difficult, I was tired and, yes, I had visions of lounging by the pool with an ice-cold margarita in one hand and another ice-cold margarita in the other. But something changed once I finished. I ran in the relay again this year because it was arduous. Some of the best things in life are those that we have to grit our teeth for; to bear down and fight for that last reserve of energy. It’s a wonderful feeling to complete something so grueling and terribly hard. The satisfaction I felt for running that last fifty feet of my final leg was unlike anything else I’ve experienced, because I hit my limit a mile back but kept going. Anytime I wavered, my teammates would come through for me. Whenever I’d feel that pang of pain biting at my motivation, my crew would summit a hill with Ride of the Valkyries blasting from a loud speaker Mad-Max-style-strapped to the top of a Ford F-250, and temporarily the Rogue River canyons would turn into my own personal concert hall. Do I like distance running? Heavens, no. I will, however, be running in the Wild Rogue Relay again next year. It was difficult, but it was also a blast. But naturally, I’ve gone into retirement: I need to make up for all these race-conscious decisions I’ve been making and eat a piece cheesecake with a pint or two, or thirty, to wash it down.